BUY GEAR ~ SELL GEAR ~ LEARN ABOUT CHATTANOOGA’S OUTDOOR COMMUNITY! 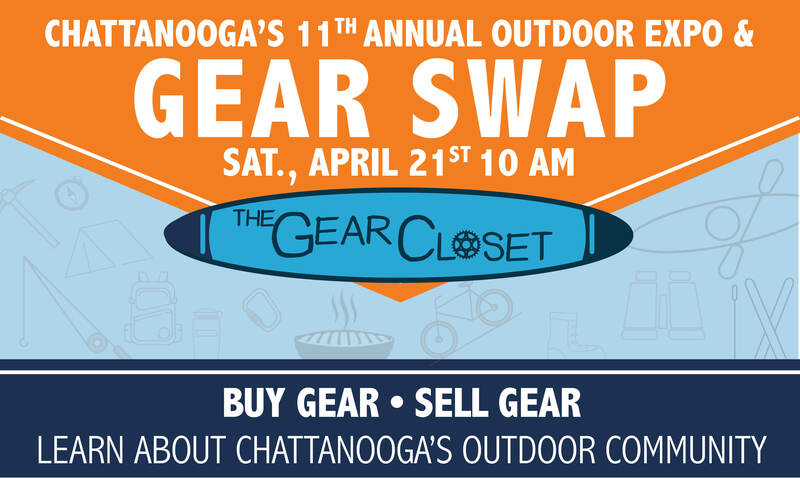 Join us on Saturday, April 21st for Chattanooga’s 11th Annual Gear Swap & Outdoor Expo. This is your chance to get great deals on gently used gear from The Gear Closet and local outdoor enthusiasts. If you are interested in having a booth to sell your wares or spread your organization’s love of the great outdoors, rent a 10X10 space for $20. For more info email jessica@caribbean-sea.org or call the Gear Closet 423-413-3298. The event is free and open to the public so invite all your friends! Each exhibitor will be responsible for the setting up and breaking down of their area, and making sure no trash left behind afterwards! The event will happen rain or shine, however, in the unfortunate case that the weather is dangerous then it will be cancelled. Setup will begin at 8:30AM and no booth should be taken down until 2PM once the event is over. You can signup now! Click here to signup.